Missed Purview at RSNA? Watch it here! As some of you know, we gave a presentation at RSNA '15 at the Chicago Apple Store. 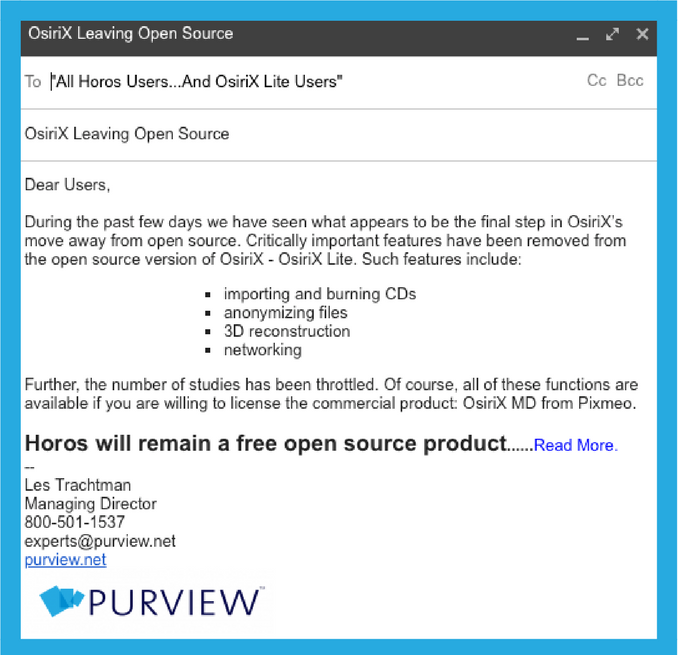 There we met with the Horos community presented them with the progress of the open-source DICOM viewer. Users shared what was most important to them, what they loved, features they desired, and development effort they would like to contribute. Unfortunately, not everyone could make it to RSNA or our follow-up web-meeting.